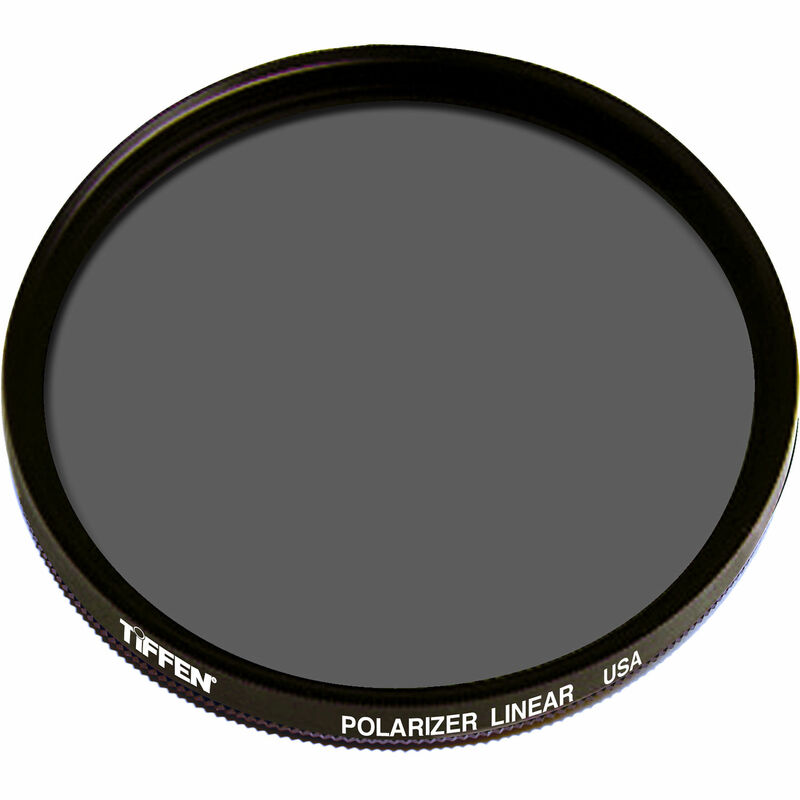 The Tiffen 49mm Linear Polarizer Filter helps to reduce reflections and glare by filtering out light that has become polarized due to reflection from a non-metallic surface. The light from the sun naturally becomes partially polarized due to reflecting off electrons in air molecules, causing the light to scatter into what appears as haze. A polarizing filter arranges, and filters, this directionally polarized light perpendicularly to the reflected light, allowing for the absorption of much of this light. This results in a noticeable reduction of glare and reflections from non-metallic surfaces and an increase in the saturation of skies and foliage. Box Dimensions (LxWxH) 3.465 x 2.913 x 0.551"
49mm Linear Polarizer Filter is rated 3.8 out of 5 by 5. Rated 1 out of 5 by John from Disappoointing This product appears to be well made, but I was very disappointed at how ineffective it is. I don't own any other polarizer filters, but this filter is less effective than my cheap clip-on polarizing sunglasses. Way less. Blue sky or reflections are reduced barely perceptively as you rotate the filter. There is no documentation included: no specs, no instructions. It comes in a poorly designed, unattractive, one-size-fits-all, dangerous box: good luck opening it without scratching the filter or launching it across the room. Rated 5 out of 5 by Joseph from Great Little Filter Just the tweak I needed with my Canon 1.8 50mm lens. Great price too!